The inaugural ‘Race the Sun’ started in the picturesque cycling mecca of Stellenbosch, on spring day in perhaps the best conditions race organisers (and riders) could have hoped for. 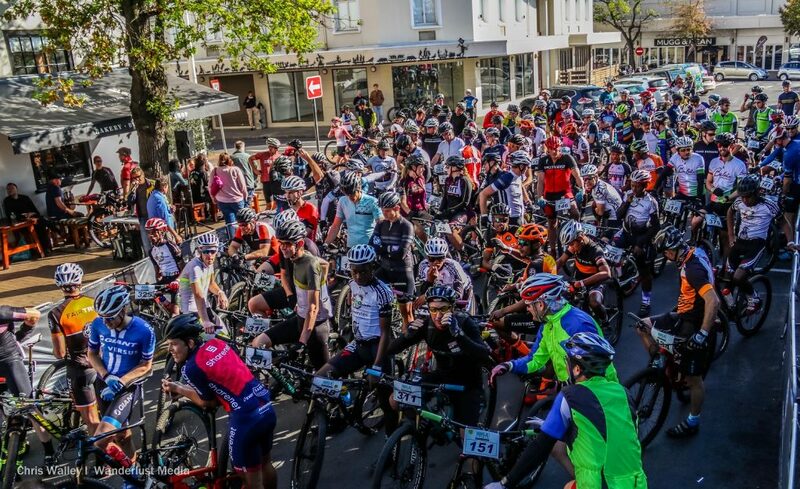 A mellow 20 degrees Celsius, clear skies and a tailwind had us all smiling as we rolled out of Stellenbosch and into Coetzenburg, just a touch of dirt at this year’s opening UCI XCO World Cup venue to tease us before snaking through the ‘burbs and heading up onto Botmaskop. 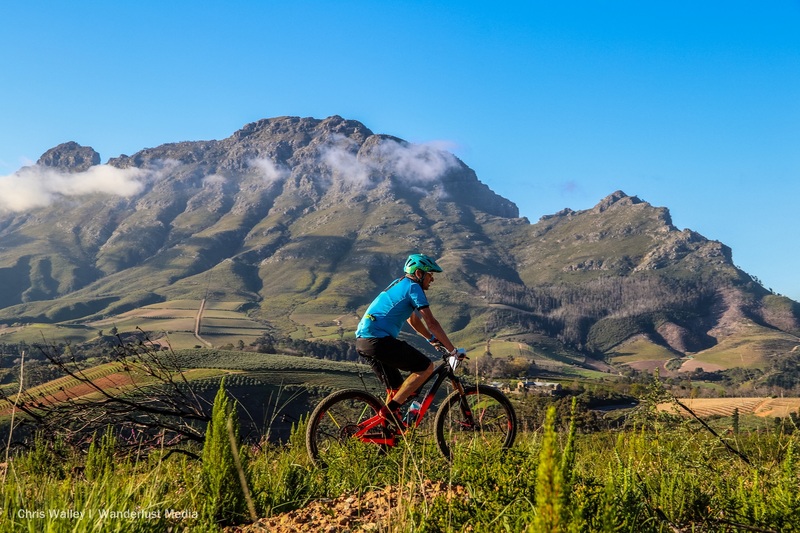 The route started with a fairly large climb with some steep sections, however after a solid 400m of elevation gain, we were treated to some absolutely spectacular views of Stellenbosch and surrounds. The view is well worth the grind, perhaps made even more special by the setting sun, this unique race had us poised between taking our time and letting the sun win the race (thus completing it in the dark) or upping the tempo and beating the sun to Boschendal. 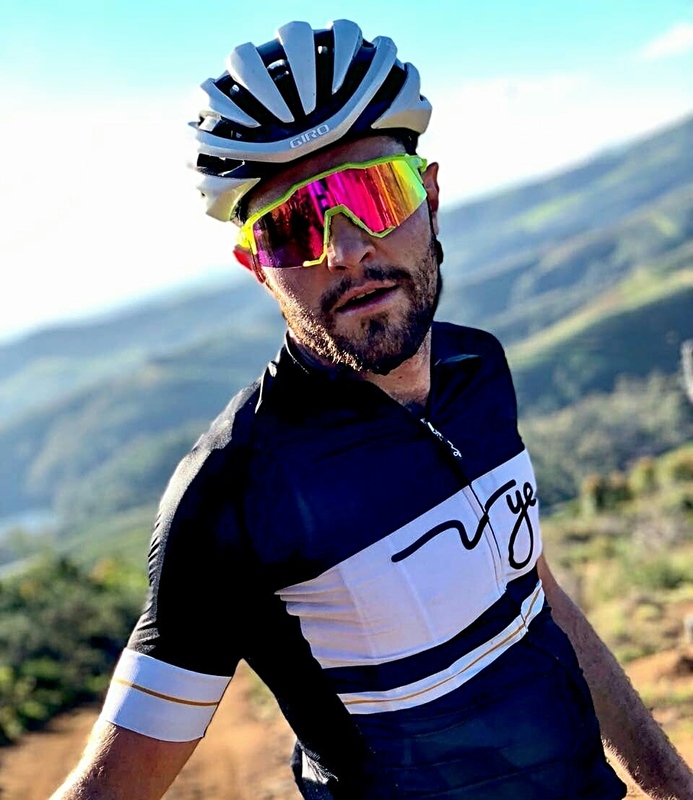 Myself and riding partner, Shaun Glover, ended up settling on somewhere in between, riding steady however taking time to enjoy the scenery, trails and beer (yes beer). After descending the infamous ‘Sky Fall’ trail into the Franschhoek Valley, endorphins were at an all-time high where we were greeted by bubbles and beer at the Bartinney private cellar. Shaun and I took a breather here to ensure that we enjoyed the ice-cold Stellenbrau Lager, before pedalling on to pull back some time on the setting sun. The route traversed a wide range of terrain, from smooth flowing single track to rocky and rugged roads in the Banghoek Conservancy. It was delightful to see an abundance of water in the Valley, despite getting a tad muddy here or there. We continued to ride at a leisurely pace as we entered the Boschendal trail network, only upping the pace when the road pitched downwards. With smiles on our dials and the wind at our back, we cruised towards Boschendal, floating over some jumps and flowing through some berms with the setting sun over our left shoulders. We didn’t need to use our (small and feeble) lights, slowly meandering into Boschendal, eagerly in search of another cold one. Upon arrival we were greeted with warm smiles just after the sun had dipped below the Simonsberg Mountain, a complimentary Angus beef burger and beer (included in the entry) went down just swell as we stood around one of the fire pits sharing the serendipity of the day. 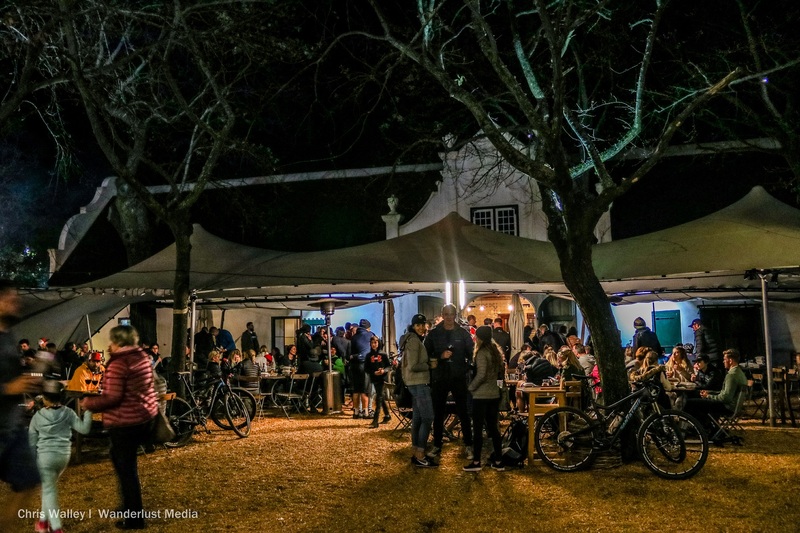 As darkness fell riders continued to make their way in, ample lighting or not, the route, food, beverages and venue was spot on, with some live music adding to the atmosphere. All in all, a fantastic start to Spring and an event I will definitely be back for, I enjoyed not racing full gas for a change, although I’m sure that would have also been fun.